Whiplash is the most common injury associated with motor vehicle accidents, affecting up to 83 percent of those involved in collisions, and is a common cause of chronic disability. 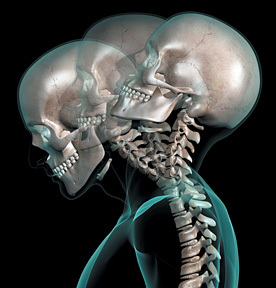 The Quebec Task Force (QTF) on Whiplash Associated Disorders defines whiplash as “bony or soft tissue injuries” resulting “from rear-end or side impact, predominantly in motor vehicle accidents, and from other mishaps” as a result of “an acceleration-deceleration mechanism of energy transfer to the neck.” It is estimated that as many as four per 1,000 people may experience a whiplash-related injury and associated pain syndromes. The overall economic burden of whiplash injury, including medical care, disability and sick leave, is estimated at a staggering $3.9 billion annually in the U.S. alone. 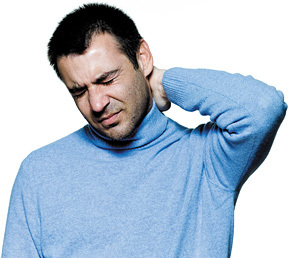 Physical Therapy: Physical therapy is an effective treatment option for whiplash, especially when combined with other treatments, such as bracing. Physical therapy techniques can help restore proper function and movement of damaged tissues. Physical therapy includes both passive and active treatments. Passive treatments help relax you and your body. They’re called passive because you don’t have to actively participate. You’ll probably start with passive treatments as your body heals and/or adjusts to the pain. But the goal of physical therapy is to get into active treatments. These are therapeutic exercises that strengthen your body so that your spine has better support. While most people are familiar with the term whiplash and generally know that it’s primarily a consequence of motorvehicle accidents, you may be surprised to learn how easily a whiplash injury can occur and how severe the consequences can be. Take this short quiz and then check your answers. Source: Croft A. “Whiplash Quiz: Test Your Knowledge.” Dynamic Chiropractic, Aug. 11, 1997 (www.dynamicchiropractic.com). Did you enjoy it? Share it and make a difference today! Coming soon.